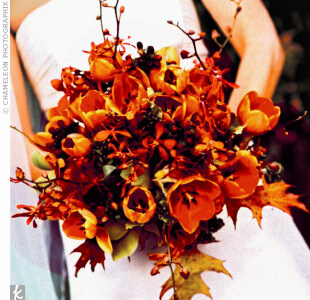 As the summer comes to an end, it’s time to start focusing on autumn weddings! Although many fall weddings are traditionally styled, there are some new trends cropping up this season! Certain colors, like purple and orange, are known as fall colors, but there are some new colors showing up this season, like emerald! 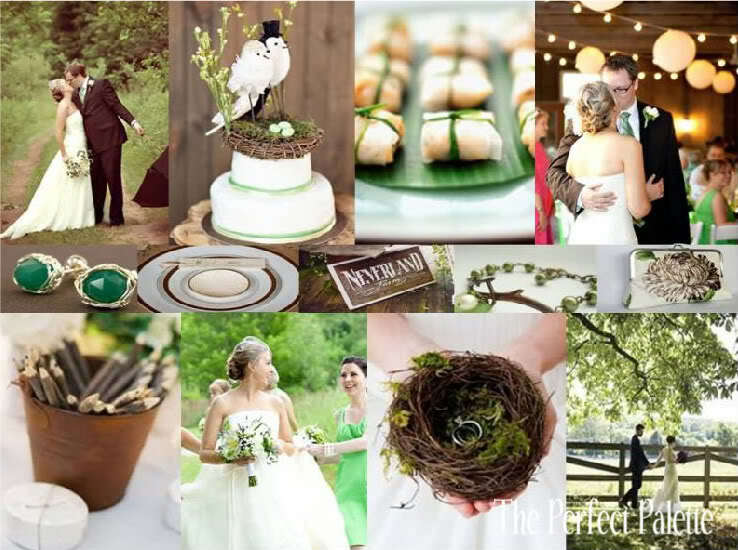 Emerald is a great jewel tone to be incorporated into your wedding. 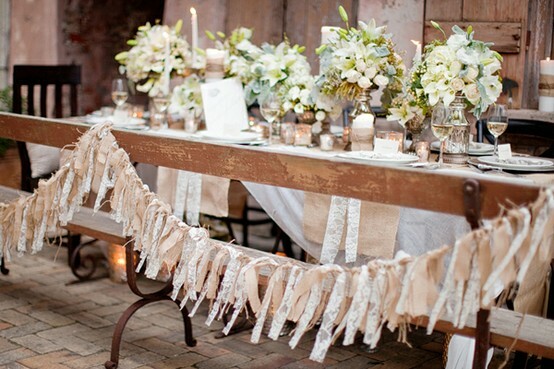 For décor, simple, rustic touches are maintaining their prevalence in the wedding industry. 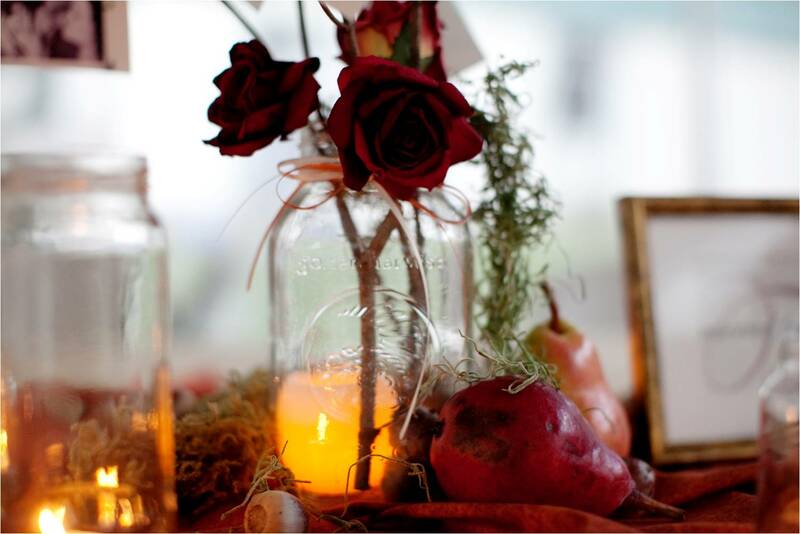 Mason jars, garlands, candles, and nature-inspired touches are being introduced into weddings. As for flowers, wildflowers and peonies are favorites for fall bouquets and centerpieces. This fall, dresses are all about two styles: backless and shortened! Although dresses are individualized for every bride, the most popular styles for this season are backless or short dresses, with elegant touches and beading. There’s also been a move away from strapless and into elegant, cap sleeves, with Great Gatsby-style glam! Pair those short dresses with great shoes to really show off your style! For food, it’s all about the classics! 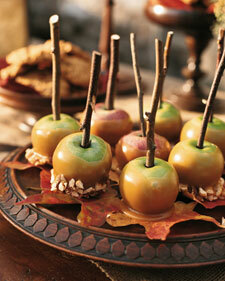 Apples, pumpkins, and other fall fruits and vegetables are making their way onto wedding menus! Apple cider and hot chocolate stations, caramel apples, and pumpkin bisques are homey, comfort foods that can be modified to suit your wedding. 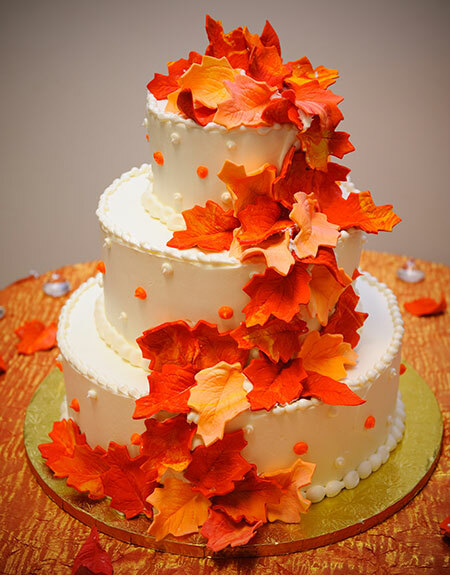 As for the cake, simple cakes are coming back with seasonal touches, like leaves or fall flowers added for decoration. 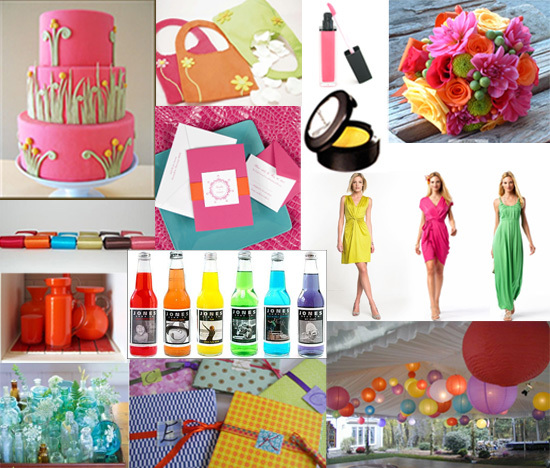 One trend gaining popularity not just at weddings but events across the board is the combination of bold, vivid colors! Below are some of our favorites along with classy ways to tie them into your wedding décor! 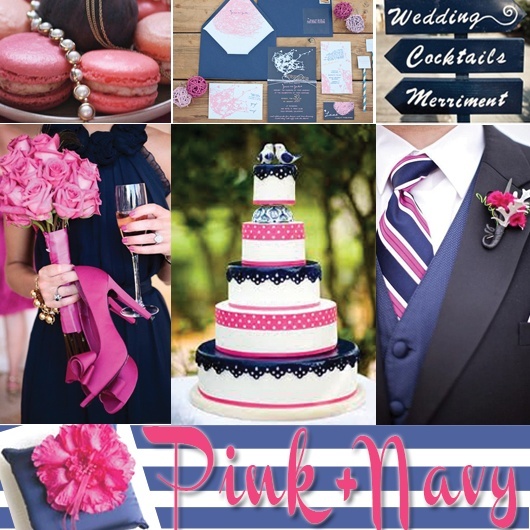 Pink and Navy Blue – This color trend is both classy and elegant, but still bold and contemporary! A “His and Hers” type color scheme, this combination is perfect for spring and summer weddings! The most popular variation of this trend incorporates nautical stripes with accents of hot pink! The possibilities are endless to tie in these two bold shades! Navy suits for the groomsmen coupled with pink bridesmaid’s dresses or all navy attire with pink accessories for both! To avoid clashing, consider using one main color and adopting the latter as an accent color for accessories, centerpieces, floral arrangements, or other elements of your décor. Aqua and cherry red is another favorite! These colors are fun and fresh, perfect for a spring or summer wedding! To avoid clashing, incorporate a neutral color, like white! 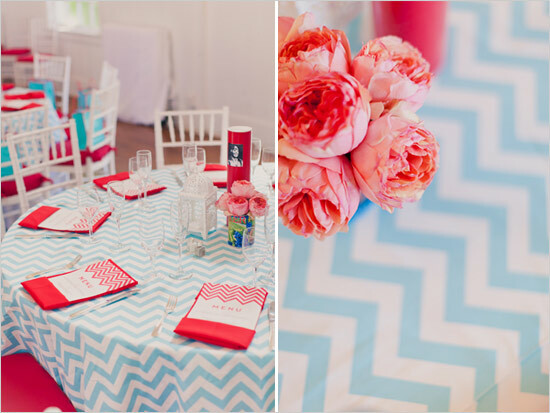 Chevron stripes are becoming more prominent in wedding linens and décor, and go great with these playful colors! Don’t be afraid to mix it up! Blue dresses and red shoes, or aqua dresses with red sashes, can be cute and colorful! Adding aqua and cherry accents to a traditional white cake is the perfect way to incorporate wedding colors without going overboard. 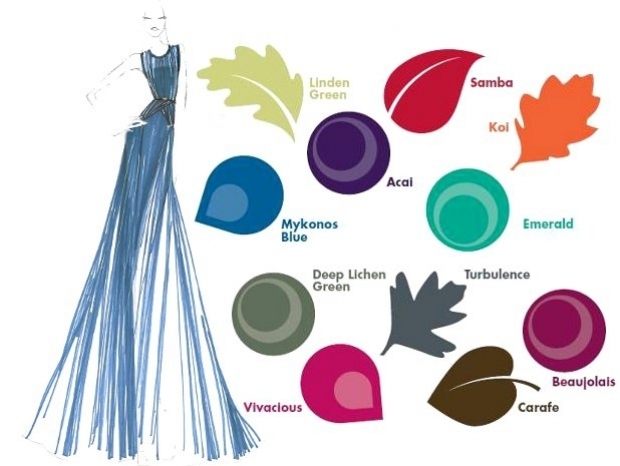 If you truly can’t choose specific wedding colors, go with a mix! Bright, playful colors are best to mix and match together. However, less can be more. 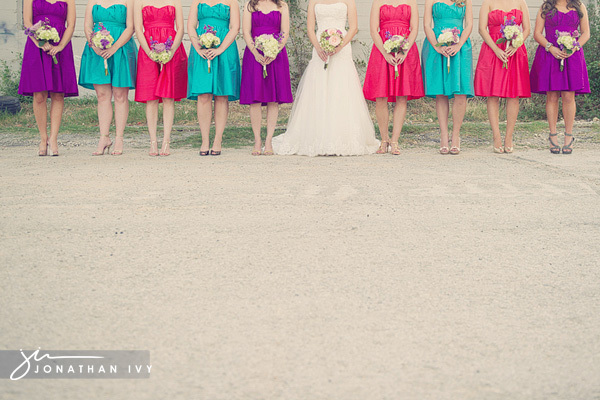 If you’re having multicolored bridesmaid dresses, pair them with neutral colored shoes to avoid a color clash! Too many colors at once can be a lot for the eye to take in, so create a neutral backdrop for your wedding! Colorful lanterns and favors are pretty against a solid backdrop, not stripes! Don’t be afraid to stray from tradition with these colors-wedding cakes don’t have to be white!